December 14th was my last run. It started just like any other run, but about 1/2 mile or so into it, there was a twinge in my right knee. It wasn't earth shattering or anything, it just kind of hurt and sent a little shock through my knee. It was less than some aches and pains that I get in various parts of my body when I start out on runs. So I kept running. Usually everything is warm, loose, and no longer hurting by a mile or so into the run. Well, 3 miles later, my knee was still hurting off and on. I was worried it was really hurt. When I couldn't even walk the next day, I was certain of it. A couple of weeks went by and it wasn't getting better. I decided I needed to go see someone about it. I found an orthopedic surgeon who ordered an MRI. A couple more weeks later, I met back up with the dr to hear the results of the MRI. 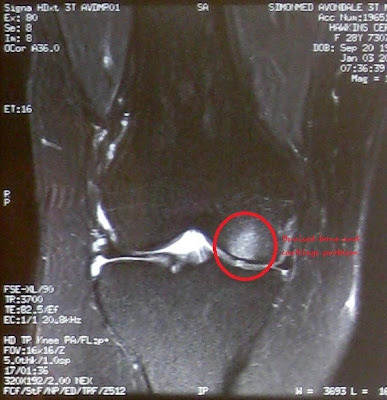 It turns out, there is a spot in my cartilage on the femoral part of the knee joint that is missing or very thin. When I was running, the joint hit with enough pressure on that spot to bruise my femur. Here are some slides from the MRI that you can see the cartilage missing or thin and the bruise on the bone. The nature of the thin or missing cartilage leads me to believe that it's a defect or caused by an injury rather than due to wear and tear. I haven't had any prior knee injuries before. When I was in elementary and junior high school, my knees used to ache and lock, but it just went away after junior high. Since that time, they've never hurt given me problems until this. This leads me to think that it's a defect in my cartilage there and I hit it just right on that last run to injure myself, but who knows. Dillon's cousin, Mike, is a PA for an orthopedic surgeon up in Utah - he's amazing - if you ever need one and live in UT, let me know. He's been a great resource through this whole thing and has really helped me out. When I met with my dr to go over the results of the MRI, he suggested I find another exercise that wasn't running. He told me he thought I shouldn't run anymore, even after I healed. I kept a brave face and tried to remain productive with the rest of the visit, then I went home to cry about it. Neither my dr nor my lovely nursey-mommy can get why I'm such a freak about running. I tell you though, I don't want to do anything else. I see others out running now and they probably think I'm some kind of weirdo-perv - I just stare at them and pine to be them for a minute. I have absolutely no desire to do anything else and I want to do it so bad. 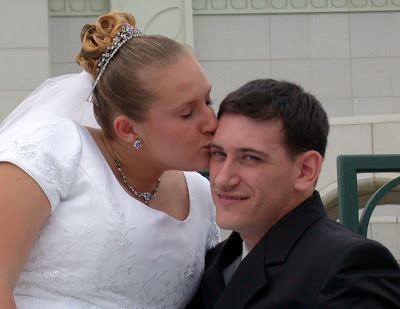 When I got home from hearing my MRI results, Dillon assured me that I would run again. He said that we'll get me all healed up, and have me hit the pavement again and see where it goes. Dillon is usually so conservative and cautious when it comes to me and my health, so him telling me that doesn't see a reason for me not to run again was music to my ears and really boosted my spirits. A couple of weeks ago, my knee was still pretty swollen, I was getting bad heartburn from all the Ibuprofen I was taking for the swelling, and it still was hurting very bad. I went back to the dr and he gave me a steroid injection. I should have done it sooner! I was hesitant before in getting the injection because I wasn't interested in treating symptoms only. I wanted to be able to feel my knee so I knew when I was doing things to it that caused pain. Also, I was worried about the cartilage weakening that steroid injections can cause. Well, cousin Mike and my dr helped me put things into perspective. Basically, my one time use of the shot wasn't going to weaken and of my connective tissues and getting the swelling to go down would help it heal. I really felt like I had hit a wall with it healing. The swelling is completely gone now. It still hurts after a long day or if I over do it, so it's not like it's numb. But the pain before and now is night and day. The constant throbbing, aching is gone, the sharp pains that would shoot through it are gone, the burning is gone. It feels so much better. And I think it's healing now too. I will likely be getting joint fluid therapy end of this month or next. It will aid in healing if I still have healing left to do, cushion the joint, and nourish the cartilage I have in my knee. 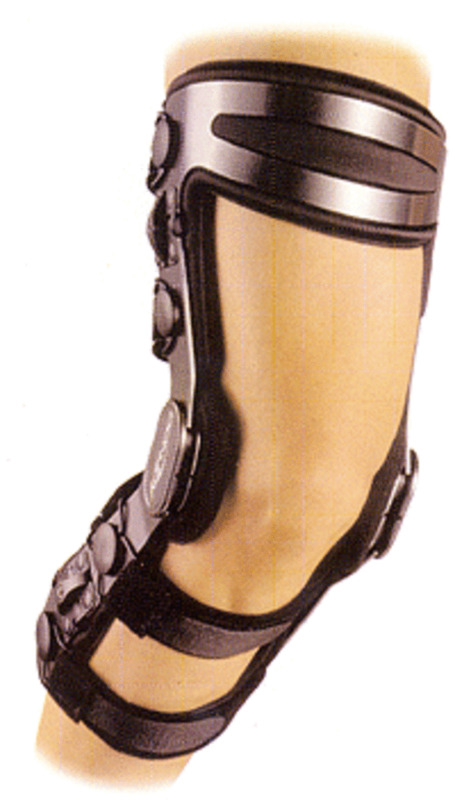 I also may look into getting an off-loading brace, which would make me just a tad knock kneed to take the weigh off the inside of my knee - where the cartilage problem area is. I think I would want to have one at least for when I start running again. I feel like such a baby about this whole thing. Some days are better than others, but I am so sad I can't run right now. I can't even walk very much. Two of the closest people to me have been much more impaired and for much longer than I have from injury, yet they both have been so supportive in listening to me and comforting me about my loss. I am lucky to have them. If it were me, I probably would have punched me by now.